Black Ice Software - BiLPD Manager version 2.08 is released! 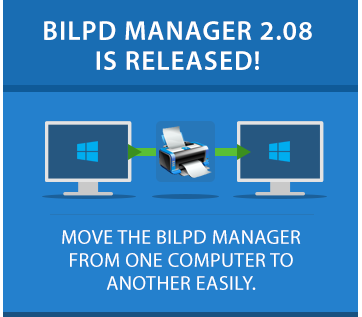 BiLPD Manager version 2.08 is released! New transferable licensing, to allow customers to move the BiLPD Manager Server to another computer! Black Ice Software has released version 2.08 of the BiLPD Manager. This version includes new licensing with transferable licenses to allow customers to move the BiLPD Manager Server from one computer to another quickly and easily. What are the benefits of having the new transferable license, instead of the regular (static) license? The regular (static) license is tied to a computer, therefore even if the computer is damaged, or you replace a computer you will not be able to reinstall and register the BiLPD Manager on this new computer, since your license is already used up. The transferable license validates the license periodically, and it is not tied to a computer, therefore if you would like to move your already registered BiLPD Manager to a new computer, you can do so by simply uninstalling the BiLPD Manager Server from the old machine, and installing it on the new computer. The latest released BiLPD Manager version 2.08 includes improved secure HTTPS communication with the Black Ice License Server during the registration, and new features to use Proxy server for the registration.